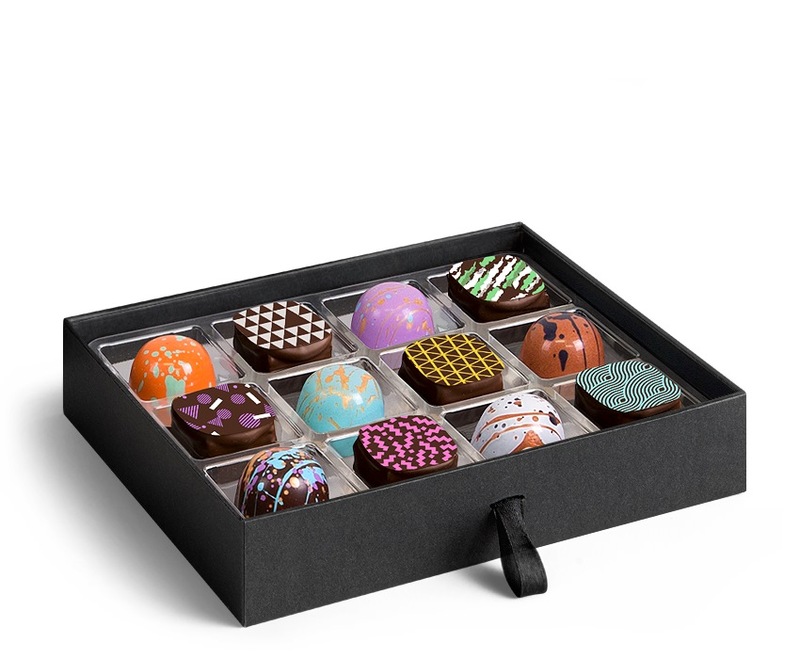 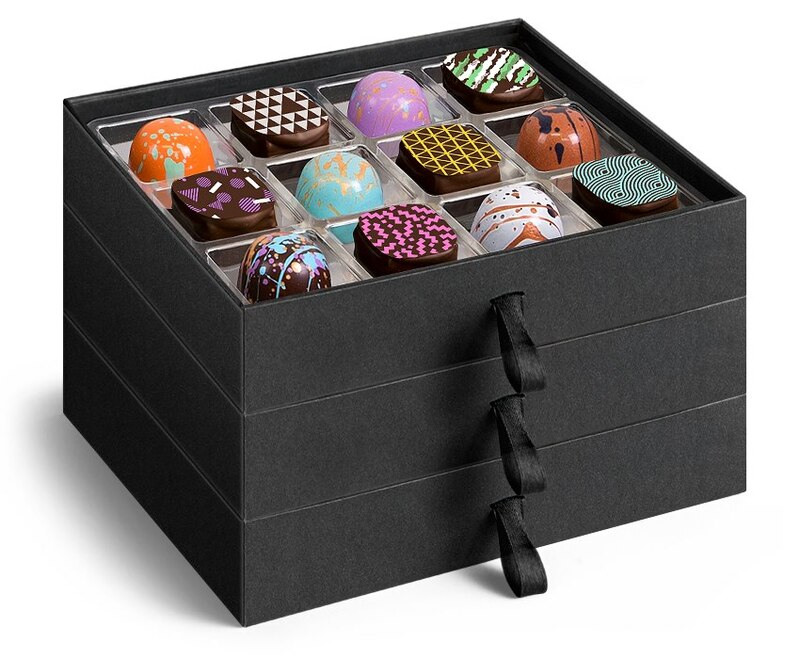 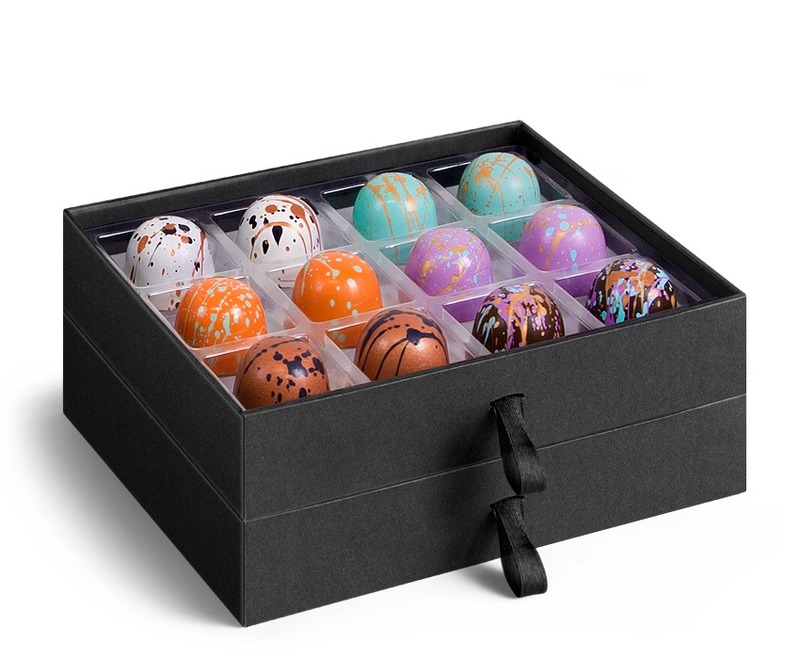 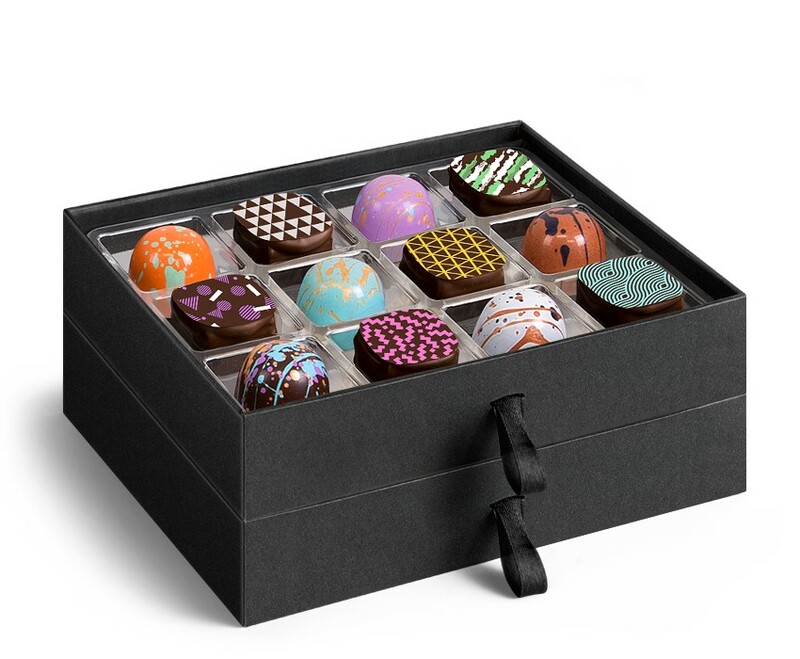 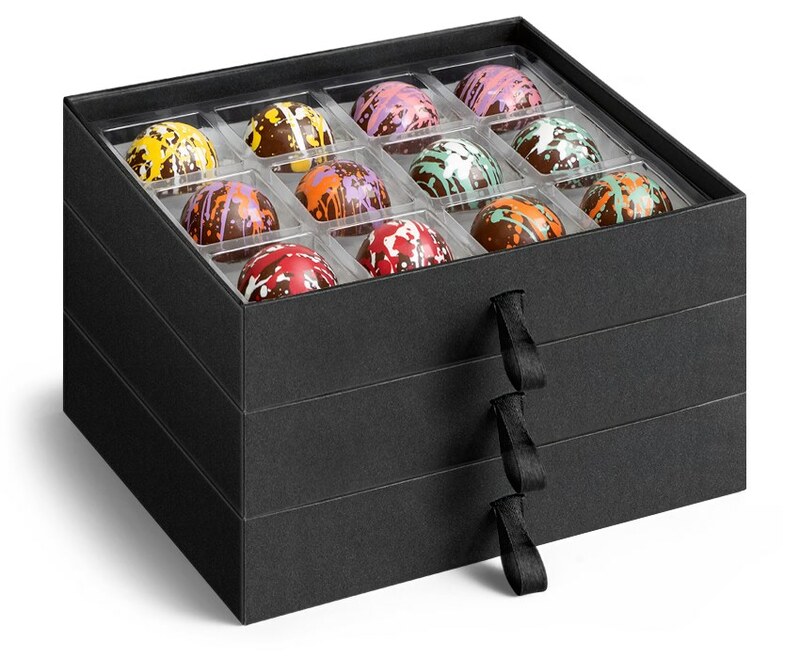 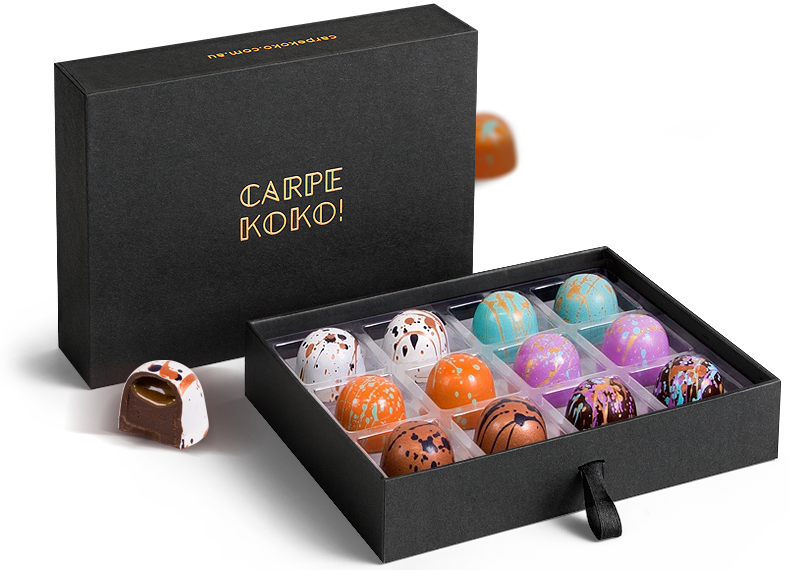 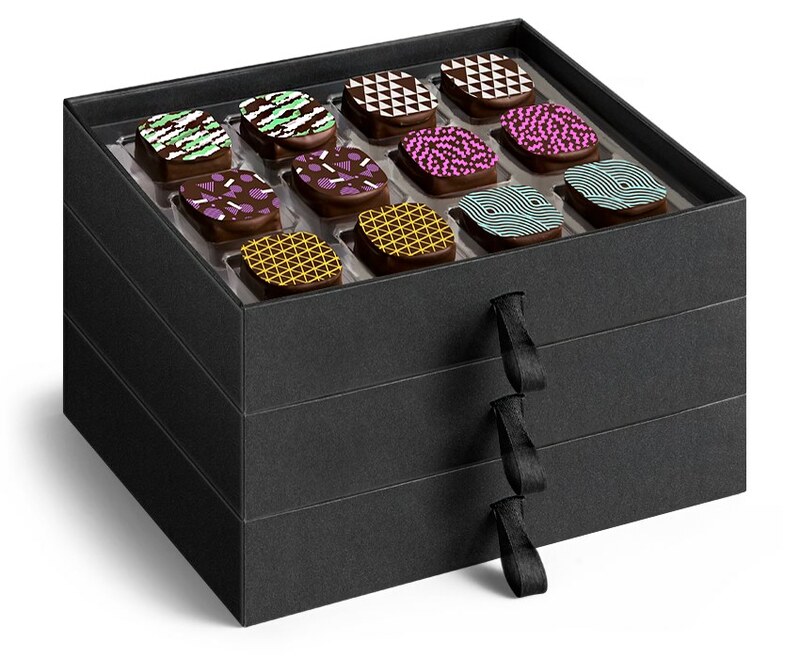 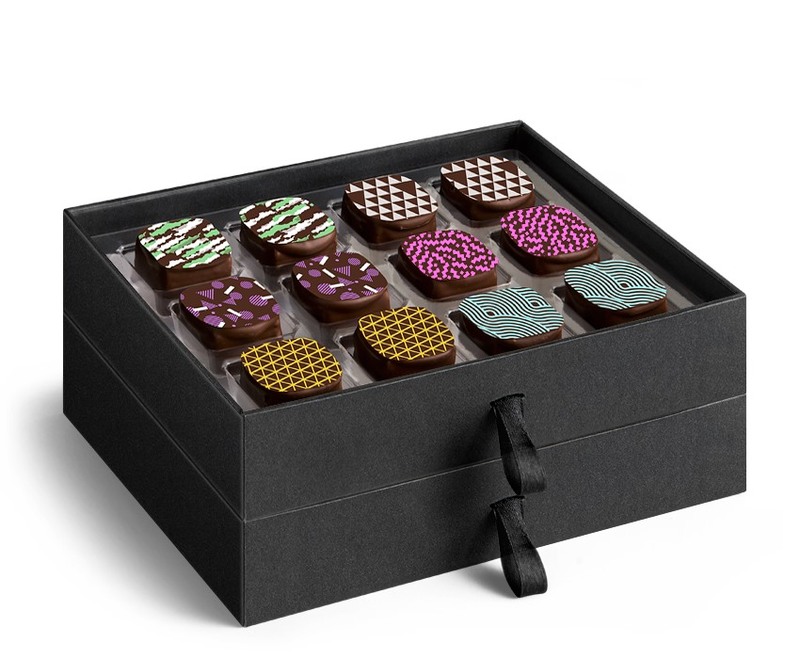 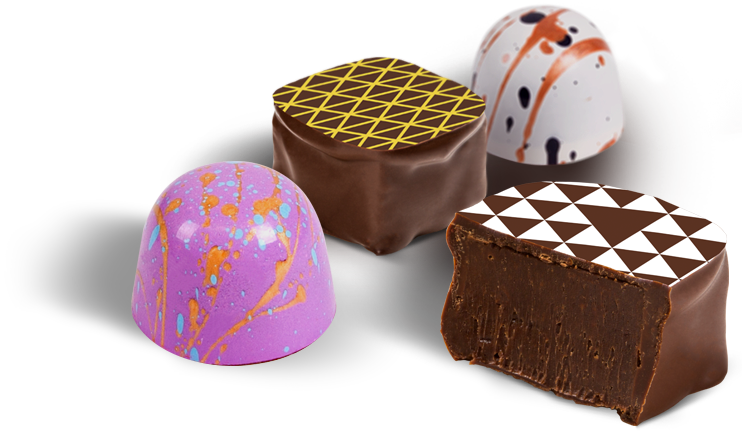 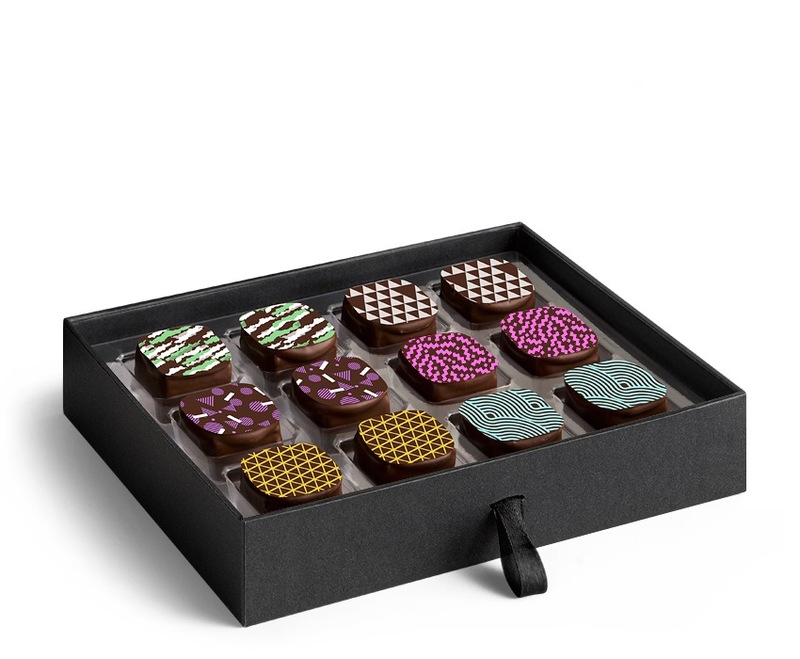 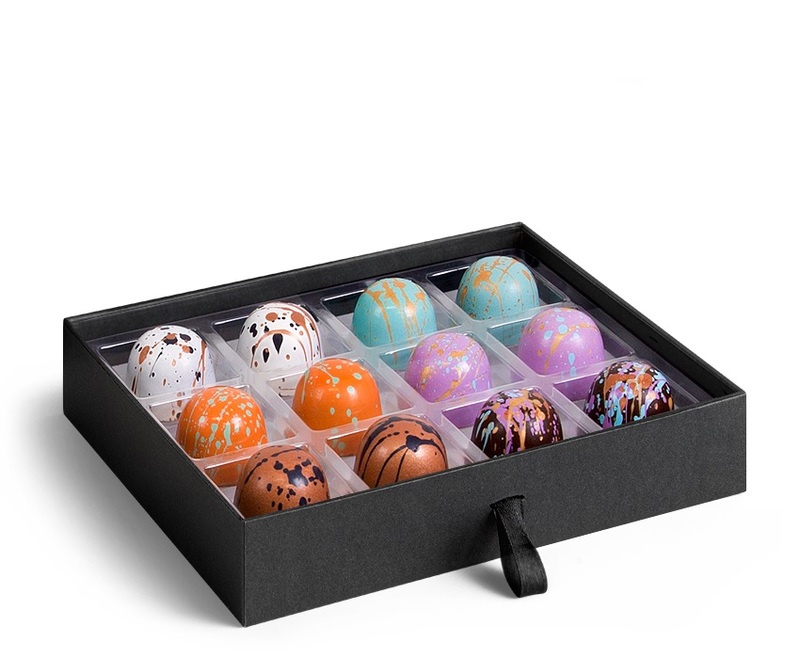 Handmade by Australia's top chocolatiers, select from one of our carefully created flavour assortments or indulge in a single taste sensation. 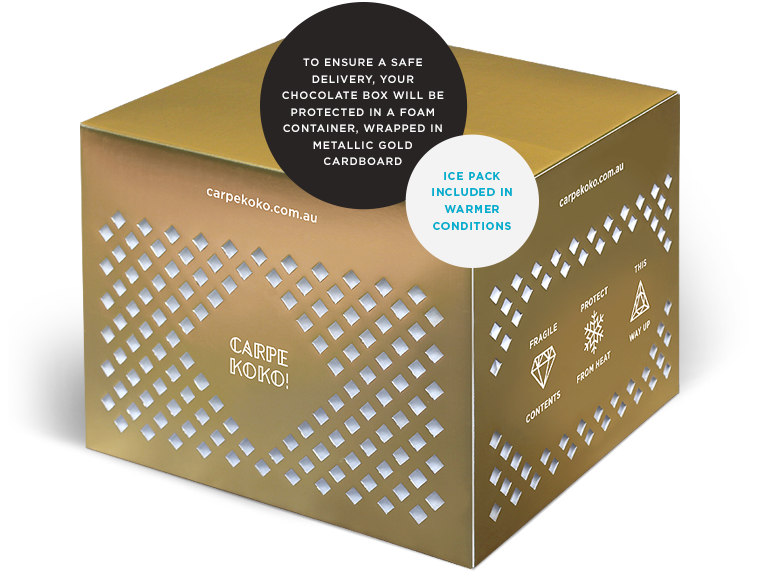 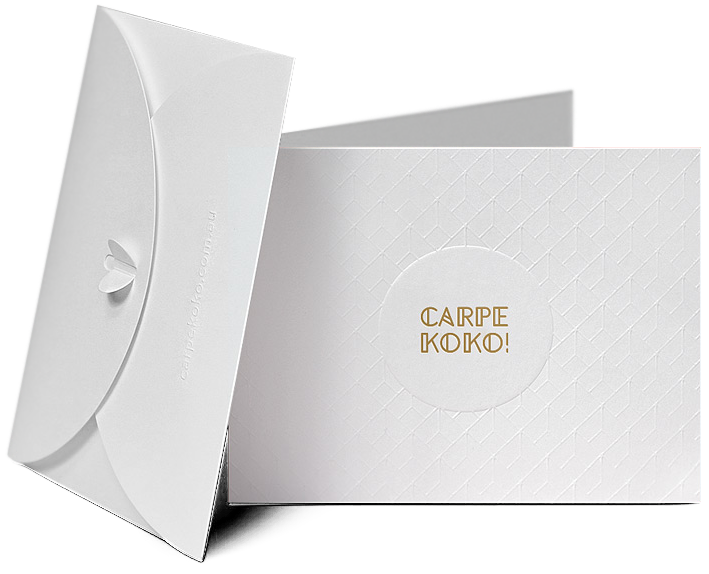 Embossed, gold foiled and contained in an ornate envelope, select a premium gift card to send a personalised message with your chocolates. 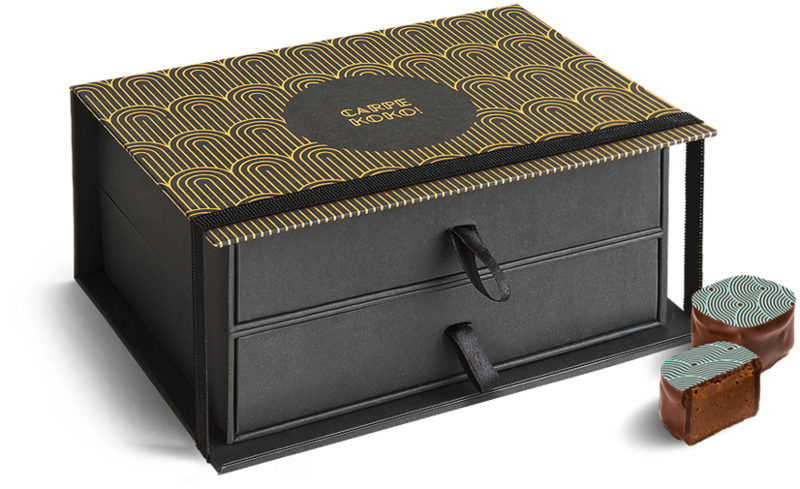 A stunning, optional addition for 12pc, 24pc and 36pc gifts, choose to wrap your gift in a signature binder for a gold standard in gifting!